Anything unusual always catches attention. 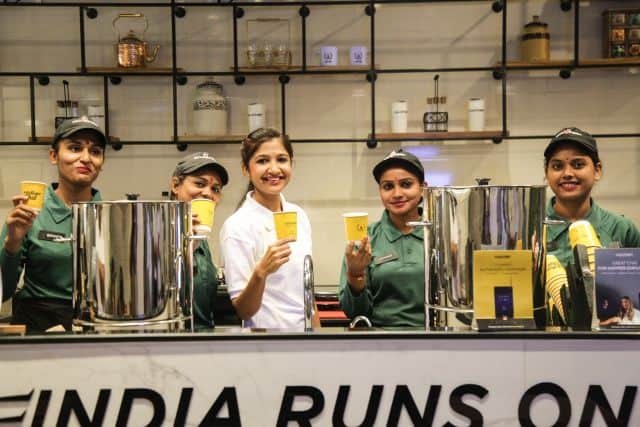 VoicenData stumbled upon India’s largest organized chai retailer – Chai Point – that supplies a perfectly brewed cup of chai made with fresh, natural ingredients to offices and working professionals around the country. Chai Point is 100+ stores strong, having a delivery business called Chai-on-call and an IoT-based B2B vending machine, BoxC, which has brought a new tech-paradigm to the way India consumes chai and coffee at offices. So how did Chai and IoT combine forces? Amuleek Singh Bijral, co-Founder & CEO, Chai Point is basically a chai seller but in a very unusual way! Bijral’s startup, Chai Point has been created to satisfy and destress techies with a tasty cup of chai, that tingles one’s senses in the right way. Chai Point was rather born by never wanting oneself and other chai addict colleagues to undergo the pains of drinking glorified hot water in the name of “Chai”! “After completing my MBA from Harvard Business School, I joined the corporate sector and worked with companies like Microsoft, EMC and RSA Tech. While being in the corporate sector, I noticed, how integral chai is to our everyday work routines. My colleagues would take 4-5 chai breaks during the day and often walk down to the nearest roadside chai stall to get their chai fix. However, the chai being sold on such stalls and even the vending machine was nowhere close to the taste we prefer. But lack of options keeps bringing back chai lovers to tapris. This is when the idea struck to me that for a country full of Chai lovers and being one of the largest exporters of chai, the last mile delivery is broken. 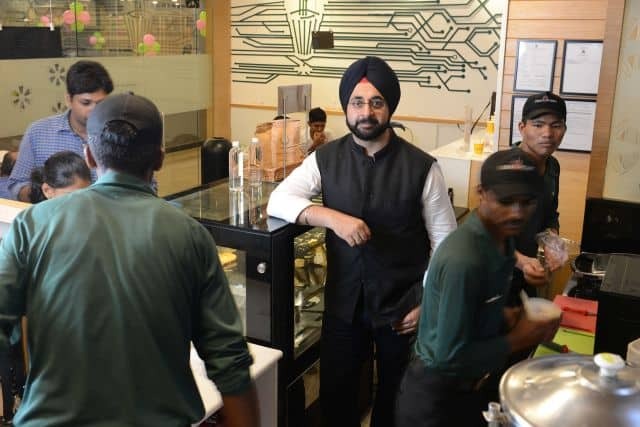 To address this market gap, Chai Point was born in 2010,” gives Bijral, a picturesque introduction and description to the inception of Chai Point. 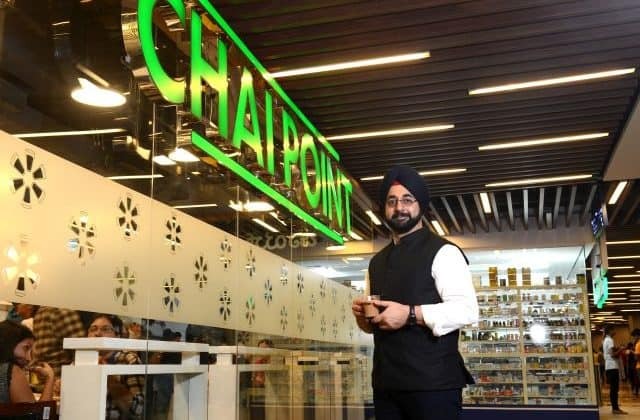 Driven by some of the most experienced food and hospitality people with revenues standing north of Rs 100 crore, Chai Point, today, as a brand reflects for serving authentic chai made of natural ingredients, best tea leaves and made fresh. While Bijral wanted to scale up his business bearing in mind not to compromise on his brand’s ethos, he decided to leverage technologies, like IoT and AI, to reach more customers and use different channels to engage with them. Be it for chai or for any other service that caters to a large user base, technology like IoT has come to its rescue for a seamless operation. Chai Point founder Bijral proactively exploited IoT to scale his business. Being IoT, the machine provides transparency on consumption and costing helping companies analyze their costs for installing vending machines in their offices, something that is currently missing from other available models. “In our bid to build an omnichannel brand, we opened stores in tech and corporate parks. IoT-enabled dispenser machine boxC.in was launched in 2016 with an aim to enter to provide freshly brewed tea and filter coffee to the target segment within their office space. Through boxC.in, we want to be present inside offices, hospitals, stations etc. to give a perfect cup of Chai. We built boxC.in on an Android platform with features like remote troubleshooting, and integrated payment mechanism. Being IoT, the machine provides transparency on consumption and costing helping companies analyze their costs for installing vending machines in their offices, something that is currently missing from other available models,” explained Bijral. Recently, the machine was integrated with Paytm at the back end, which means, especially for SMEs, the companies can install and run the machine, while employees can pay a specially discounted price to enjoy their cup of Chai. Notably, today, there are more than 2,000 active installations of boxC.in across some of the biggest corporates in India. The delivery arm of the business is called Chai on call where the customers can place their orders through the web and through the company’s App. The company has also partnered with all key food delivery players such as Swiggy, Zomato, Uber Eats, and Food Panda. Chai Point brought out AI-based face recognition technology in June 2018, i.e. to be more precise when the company launched its 100th store. “The idea behind launching face recognition billing was to reduce waiting time in the billing line for our loyal customers who come to the store 4 – 5 times a day. Now they don’t have to share their mobile numbers to earn loyalty points. The camera at the counter will display their name and number in an encrypted format to the sales executive who will be able to process the order quickly. As we roll this out and start analyzing the data, we want to explore what more service extension can be provided to the customer with an aim to further improve their experience with us,” says Bijral. A chai seller can never go out of business and when the company has thought out-of-the-box in integrating chai and technology, how would investors ever overlook Chai Point. Chai as a category has an obvious pull and thus it is not devoid of investors’ interest. “The chai selling market is estimated at Rs 1.5 lakh crore market thus making it a highly scalable potential business idea. Chai as a category has an obvious pull and thus it is not devoid of investors’ interest. We are proud of the fact that marquee names like Saama Capital, DSG, Eight Road Ventures and Paragon Partners have chosen to put their faith and investment in our brand. The backing from these investments in tech has enabled the company to scale up fast,” admits Bijral. Bijral trusts his omnichannel approach to the business. Targeting white-collar professionals and integration of online and offline can take different shapes and a brand has to fit into those shapes in order to keep servicing its customers on a repeated basis. This strategy is what Bijral follows and investors simply loved his approach and filled his kitty with the necessary funds to escalate Chai Point to greater heights. Clean Earth initiative: This initiative has been an important pillar of Chai Point’s business strategy over the last many years. Bijral elaborates on that strategy to say, “As a company, we are conscious of the fact that we must reduce our pressure on the environment. We were the first ones to switch to bagasse-based cutlery to opting for glass bottles for the packaged beverage to recently announced BYOC – ‘Bring Your Own Cup’, where we are asking our customers to bring their favorite cup to enjoy their favorite chai. The idea is to reduce paper/glass consumption to a minimum.” This, of course, was another compelling factor that attracted investors. There is an immense opportunity in the tea business. Iced Tea, which is a huge market abroad, has not even opened up in India. The brand is planning to open 20 more outlets in the next three to four months. As of now, all the outlets are company-owned and company-operated and going further, Chai Point would continue with the same operating model. The brand is still at a relatively nascent stage and Bijral believes that he needs to have their own store to cement the system, processes and more importantly aggressively redefine and improve customer experience. Stores will remain core to Chai Point’s brand and online delivery and boxC is a faster-growing segment, which would support the store format. At present, stores and the delivery from stores contribute 56 percent to the total revenue, 4 percent comes from packaged food business and the remaining 40 percent from boxC business. “We have been operating profitable for last six years. We are aiming to be EBITDA level 100 percent profitable by this fiscal-end, covering all the expenses that we have taken towards our omnichannel growth. On a run rate basis, the brand is targeting Rs 200 crore by the end of the fiscal year,” ambitiously concludes Bijral. Chai Point sets new trend! IoT machines dispense chai; AI-based face recognition aids billing 0 out of 5 based on 0 ratings. 0 user reviews.